DENVER, Colo. — The Adolph Coors Foundation is investing in Colorado’s future workforce by supporting Goodwill Industries of Denver’s youth career development programming. The $15,000 grant will support Goodwill’s impact on nearly 13,000 disadvantaged students at high-poverty middle and high schools across the Denver metro area. “Goodwill Industries of Denver continues to provide valuable workforce development programs for metro-area youth, which is one reason our foundation has supported the program for nearly four decades” said Alejandra Major, program officer of the Adolph Coors Foundation. 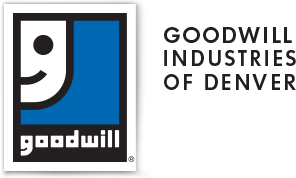 Goodwill Industries of Denver serves more than 23,000 Coloradans in need annually. Its community programs help some of the most disadvantaged individuals in the community overcome various barriers to employment. Goodwill’s youth career development programs deliver instruction with an emphasis on real-world experience and learning. The career-readiness curriculum includes one-on-one mentoring, resume writing workshops, career panels, mock interviews, post-secondary success counseling as well as college and work site visits. “We are so grateful to have the continued support of an organization with such a strong legacy in Colorado,” said Karla Grazier, Interim President and CEO of Goodwill Industries of Denver. “We wouldn’t be able to make an impact on the lives of so many students year after year without the commitment Coors has shown us.” The Adolph Coors Foundation has been a supporter of Goodwill Denver since 1979. Goodwill Industries of Denver provides career development resources for tens of thousands of Coloradans with barriers to employment. Goodwill’s community programs facilitate job preparation and skills training for at-risk youth, struggling families and individuals with disabilities. Through its thrift retail operations, donations, corporate partnerships and recycling processes, Goodwill is ensuring that every individual in our community has the opportunity to live to their fullest potential and overcome obstacles to find success and self-sufficiency. Goodwill Industries of Denver began its legacy of community impact in the Mile High City in 1918. Visit goodwilldenver.org to learn more about its 100-year history in Denver. 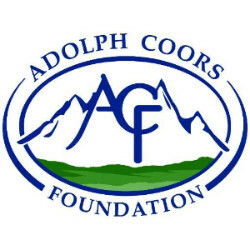 The Adolph Coors Foundation was established in 1975 by Bill and Joe Coors. The Foundation supports organizations that promote the western values of self-reliance, personal responsibility, and integrity. Visit coorsfoundation.org to learn more.